Policewoman Rachel Troyer has always looked after her three elderly Amish aunts, proprietors of a farmhouse inn near Sugarcreek, Ohio. The idyllic town is popular with tourists, who come to sample its famous Amish goods. But one thing is clear to Rachel - Joe Matthews is no tourist. When the bearded stranger lands on her aunts' doorstep, begging shelter for himself and his young son, Rachel is suspicious. Will she be able to uncover Joe's secrets despite her aunts' - and her own - growing affection for him? I enjoyed getting to know Rachel, her aunts, and others from the community of Sugarcreek. Eli was one of my favorites, it was so funny how the elderly Amish man would tease Joe and get such a kick out of his reactions. There was plenty going on in the plot with Joe's secrets and worries, Rachel's job on the police force, her attempts to rein in her aunts, their refusal to settle down into retirement, a lost and pregnant teenager, and a few more exciting things that I don't want to give away. The way that Joe and Rachel handle each obstacle shows their compassion, strength, and kindness. They notice these qualities in each other as they grow closer and their sweet romance develops naturally. 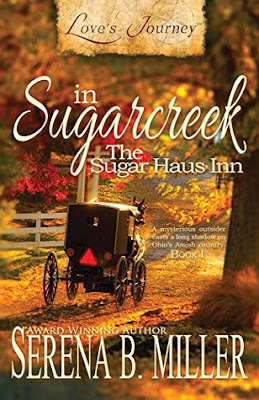 The author does a good job incorporating details about Amish life and even though I've read quite a bit in this genre, I ended up learning some new things! E-book sale: Three amazing books for only $1.99! 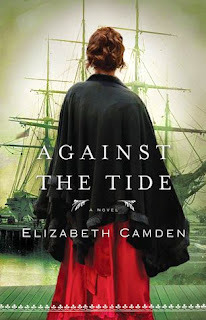 Only $1.99 for Against the Tide by Elizabeth Camden. I rated this book 4 stars, I really liked it! Only $1.99 for The Measure of Katie Calloway by Serena Miller. This is one of my 5 star favorite books- highly recommend! This is the third book in the Michigan Northwoods series, but can be read as a stand alone novel. The main character Moon Song appears in The Measure of Katie Calloway, which I absolutely loved and rated 5 stars. 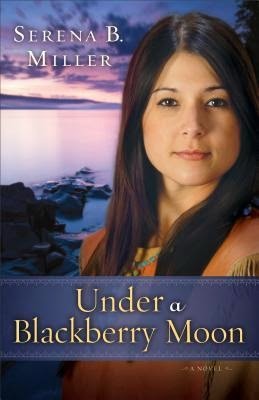 Download Under a Blackberry Moon by Serena B. Miller for only $1.99 today only! Just a few days after she gave birth alone in the northwoods, a recently widowed young Chippewa woman stumbled into a nearby lumber camp in search of refuge from the winter snows. Come summer, it is clear that Moon Song cannot stay among the rough-and-tumble world of white lumbermen, and so the camp owner sends Skypilot, his most trusted friend, to accompany her on the long and treacherous journey back to her people. But when tragedy strikes off the shore of Lake Superior, Moon Song and Skypilot must depend on each other for survival. With every step they take into the forbidding woods, they are drawn closer together, until it seems the unanswerable questions must be asked. Can she leave her culture to enter his? Can he leave his world to enter hers? Or will they simply walk away from a love that seems too complicated to last? Get swept into a wild realm where beauty masks danger and only the truly courageous survive in a story that will grip your heart and your imagination. I'm so excited to read this book! 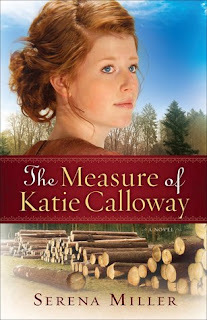 Several friends on Goodreads gave it 5 stars, and two other books by the same author I loved- The Measure of Katie Calloway and A Promise to Love. 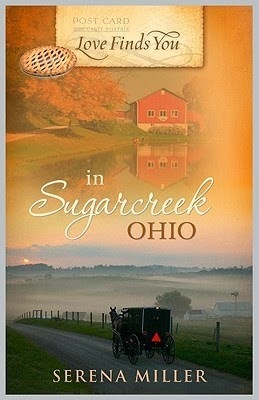 Download Love Finds You in Sugarcreek, Ohio for only $1.99! A mysterious outsider casts a long shadow on Ohio's Amish country. Policewoman Rachel Troyer has always looked after her three elderly Amish aunts, proprietors of a farmhouse inn near Sugarcreek, Ohio. The idyllic town is popular with tourists, who come to sample its famous Amish goods. But one thing is clear to Rachel - Joe Matthews is no tourist. When the bearded stranger lands on her aunts' doorstep, begging shelter for himself and his young son, Rachel is suspicious. Will she be able to uncover Joe's secrets despite her aunts' - and her own - growing affection for him? If you didn't get this one when it was a freebie, $1.99 is still a fabulous deal! I love this book, and recently re-read it again... still amazing!